Père Lachaise Cemetery – and why you should visit! The top 10 tourist spots – and what you should do instead! Le Jardin Suspendu – Paris greenest roof top bar! Home » 3 days in Paris – the complete guide! 3 days in Paris – the complete guide! 3 days in Paris… true, that does not sound like much time to explore an exciting metropole like Paris. 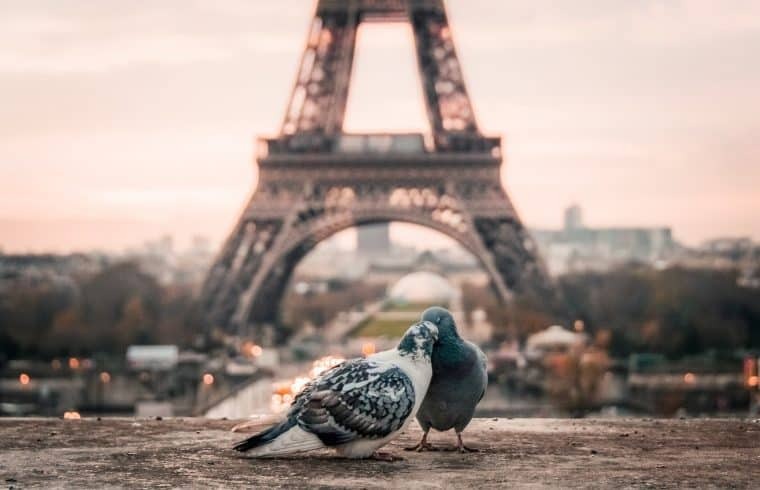 But good news is: 3 days in Paris are enough to see the highlights, to check out some hidden gems and to try the quintessence of french cuisine. Check out our “Paris in 3 days guide” and know what to do in Paris in 3 days to make the most of your city escape. Where to stay during your 3 days in Paris trip? If it comes to accommodation, Paris is an expensive destination. However, Paris is quite small after all. The excellent public transportation system grants you to move around quickly and hassle free, no matter where you stay. If you are staying 3 days in Paris on a budget, I suggest to stay around Montmartre. The district is beautiful and iconic but luckily not as pricey as other nice locations in Paris. Montmartre lays a bit outside the center but with public transportation you get quickly everywhere. If you’re moving around by Metro, it takes around 20 Minutes to reach St.Michel, in the center of Paris. Montmartre is a good starting point to explore the city during your three days in Paris. If you’re budget is less tight, a Hotel in the Marais or the Latin Quarter is perfect base when visiting Paris in a short time. The areas are very central and close to many sights, restaurants and bars. It’s also quite easy to get there from airports and Gare du Nord as they are connected directly to the area. Where to stay in the Marais or the Latin Quarter? Check out our post about how to ride Paris public transportation if you are unsure how to get around in Paris. Are you wondering what to pack for Paris? Don’t miss our packing guide for Paris and Europe! After you checked in to your hotel, take a classic sightseeing tour by bus. That might be an odd suggestion, but hear me out: you might be tired from your flight, maybe even jet lagged and you’re not having much time in Paris. You can either start straight away with your sight seeing program and risk to pass out at 8pm or you lean back and relax while taking this tour. Big advantage of a bus tour is certainly that you’ll cover Paris in a very short amount of time. Knowing that you have at least seen every must see in Paris will take away the pressure for the 2 days to come. Plus, their audio guide provides more information than you probably would get while walking around with your guide at hand. Assuming that you’re most likely quite tired after traveling to Paris and soaking up first impressions of Paris, it’s best to have dinner in proximity to your hotel. The Marais is one of the areas of Paris that is amongst others known for their bars and restaurants. Being the jewish quarter of Paris, it’s not surprising that it’s the go to area if you want to eat a really good Falafel. “L’As du Fallafel” is probably the most famous food stall within the area and it’s known to be the favourite Falafel place of Lenny Kravitz. If you’re up for something casual, you really don’t wanna miss this place – you can either eat in the restaurant or get a sandwich for take away. You prefer to enjoy some classic french food in a cosy Parisian restaurant? No problem! Have dinner at the Camille and try typical french cuisine with snails (they have other starters, too, no worries), Magret de Canard and a yummy Crème brûlée. Make sure to book a table in advance: restaurants in Paris can be very busy at times and it’s not assured that you’re getting a table. Click here to make a reservation online and secure you’re spot. If you’re staying in Montmartre, you can’t do much wrong when it comes to Dinner. Montmartre is not as central as the Marais, but you’ve got plenty of restaurants to choose from, the area is lovely and not unimportant: it’s rather budget friendly. Especially if you’re checking lafourchette.com: a platform that lets you make your dinner reservations online and grants you on top of reductions up to 50%. Click here to see all offers for Montmartre. If you know where to have your dinner, I recommend to reserve a table straight away: it can get really busy in the evening and it might be difficult to get a table without reservation. You best start your day traditionally: have a coffee and a croissant (or baguette with jam and butter) at a nearby café. Once you’re ready to start the day, head over to the Louvre. To avoid the queues, get a skip the line ticket in advance and head straight to the exhibitions. Frankly, you could probably spend your entire 3 days of your Paris vacation in the Louvre and see not even half of it.. this being said, I strongly recommend to get the audio guide. Besides loads of information about many many exhibits, the best feature are the tailored tours. I enjoyed very much the “masterpieces” tour. You can either download it on your own mobile device or lend a Nintendo DS at the Louvre for 5€. Daily (except Tuesdays): 9 a.m.–6 p.m.
Wednesday, Friday: 9 a.m.–9:45 p.m. Rooms begin closing 30 minutes before museum closing time. After spending the morning with walking through the Louvre and enjoy important art, it’s good to have lunch nearby. 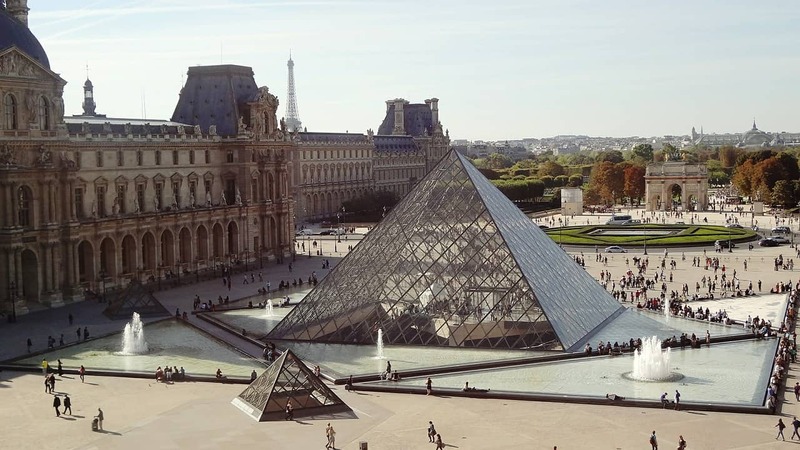 The Louvre is very centrally located in a very busy and rather expensive area of Paris. If you’re not on a shoe string budget, you’ll find easily a restaurant around to have lunch and to rest a little. I still suggest to book a table in advance to avoid waiting times. Check here to see popular restaurants in the area and save up to 50%. If you are unsure what to have for lunch, what about Galettes and Crêpes? Galettes are basically the hearty version of Crêpes; filled with cheese, cold cuts or an fried egg are they a yummy treat for lunch – and a local french specialty, too! And make sure to leave a bit space for a sweet Crêpes for dessert! In direct proximity to the Louvre, you have a very popular Créperie – Coffee Crêpes – reserve your table here! If you prefer to enjoy a view rather than art, head over to the Eiffel Tower instead. Just keep in mind that the view will be very limited – to say at least – if the weather is not great. To avoid waiting time and an unnecessary waste of time, I recommend to get a skip the line ticket in advance to get up straight to the top without queuing for hours. 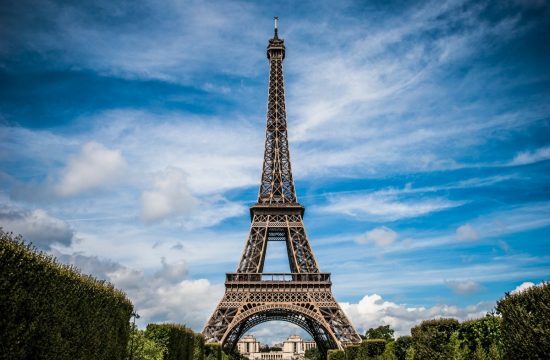 Read our post on the Eiffel tower and know everything your need to know before visiting! Class up your Eiffel Tower experience: Have lunch at the 58 Tour Eiffel – the restaurant at the first floor of the Eiffel Tower. In case you’re looking more into a lower priced lunch option, try Galettes! Yes. I am a fan of Galettes – a french specialty typical for the region Bretagne (Brittany). Galettes arehearty Crêpes made from buckwheat flour that are coming with different fillings like cheese, ham or a fried egg. Traditionally you have a cup of cider with it.. and a sweet Crêpe for dessert. There are a few good Crêperies in walking distance of the Eiffel Tower and some are offering nice discounts of booked online. Have a look here to see all Crêperies around the Eiffel Tower and book online – it can get really busy! 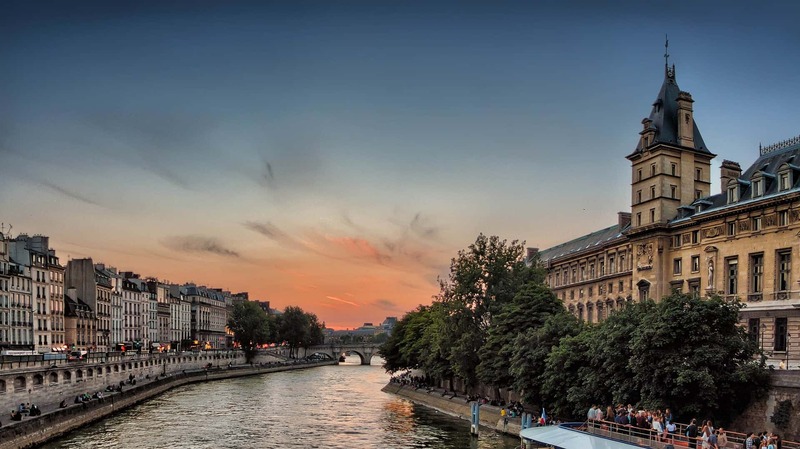 After you visited one of the most rated sight in Paris and enjoyed a classic french lunch, head over to the very centre of Paris, to St.Michel. The area around the fountain of St.Michel is a good starting point to explore central Paris and the Latin Quarter at your own pace. This area is definitely one of the tip places to visit in Paris in 3 days. 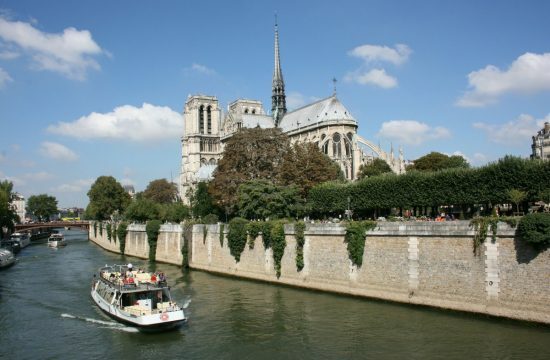 Visit Notre Dames and the Jardin du Luxembourg, do some shopping at the Rue Rivoli or Le Halles, have a long walk at the Seine or get a bottle of wine and some nibbles and have a picnic at the Ponts des Arts. Even though its convenient and cheap, avoid the little, cute and inviting looking restaurants next to St.Michel. The places around Rue de la Harpe and Rue de la Huchette are not absolutely horrible but they are purely for tourists and you get better quality food for not much more on many other places just a few streets away from there. 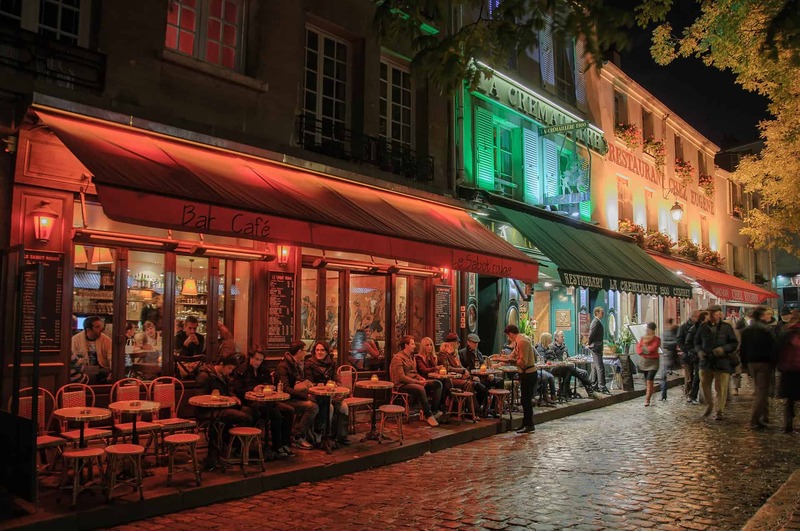 Not far from St.Michel is one of the best area to go out and to have dinner: Rue Mouffetard. This pedestrian street in the Latin Quarter is one of the oldest roads of Paris – it has been there already in roman times. As it’s located on a the – the hill Sainte-Genevieve – it remained untouched by Baron Haussmann, who created the famous Haussmann buildings that are big parts of the Parisian cityscape. Knowing this, it’s not surprising that the Rue Mouffetard has the flair of the old Paris – with cobbled stone roads and almost medieval buildings. However, today the rue Mouffetard is know for it’s day market and for the many specialty shops. If you plan on bringing back home some french treats and gourmet food, the rue Mouffetard is a great place to buy cheese, cold cuts, wine, pastry and other yummy treats. Very conveniently the Rue Mouffetard (and the entire Latin Quarter actually) is a very lively neighbourhood with loads of bars and restaurants. It’s a popular place for Parisians to go out for dinner or drinks; you find something for every taste. If your budget is a little smaller after spending the whole afternoon in one of Paris’ best shopping areas, check out the offers from lafourchette.com; plenty of restaurants around Rue Mouffetard are offering up to 50% discount if you book a table online! If you area searching for more offbeat tips for Paris, check out our secret Paris guide and learn about 75 hidden gems. It’s you’re last day in this beautiful city and depending on your departure time, you either just grab a Croissant and a Café and head over to the last destination of your trip, or you start the day slow with a brunch (check here for the best brunch places in Paris). A trip to Paris is not complete without a stroll around Montmartre. The cute cobbled stone streets, the painters, the view over Paris and of cause: the Sacre Coeur.. you don’t wanna miss that. Half way up to the Basilica, take a break at one of the little cafés around Place des Abbesses (I recommend the Le Templier de Montmartre, good food and very good service) or at Rue des Martyrs and watch the lively and busy Montmartre life. Just around you find also the “I Love you: the wall“, a popular sight in the area. From there you can either walk up until the Sacre Coeur or you take half way the Montmartre Funicular (it requires a regular Metro ticket). 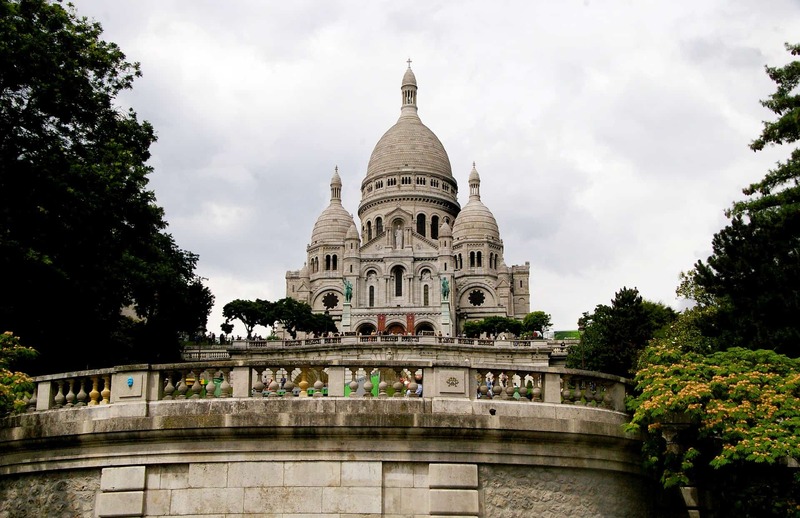 The Basilica de Sacre Coeur is a highlight in Paris – the view from the hills of Montmartre over Paris are one of the best way to see Paris in 3 days. If you have a bit more time, I advise to leave Montmartre by taking the little streets and steep stairs behind the Sacre Coeur. While the frontside is busy and touristic, the back is the opposite; laid back, calm and almost off beat. Very few tourist make it there and it’s worth to experience this part of Montmartre as well. don’t miss out our complete Montmartre guide: Montmartre – all you need to know! What to see at Montmartre? 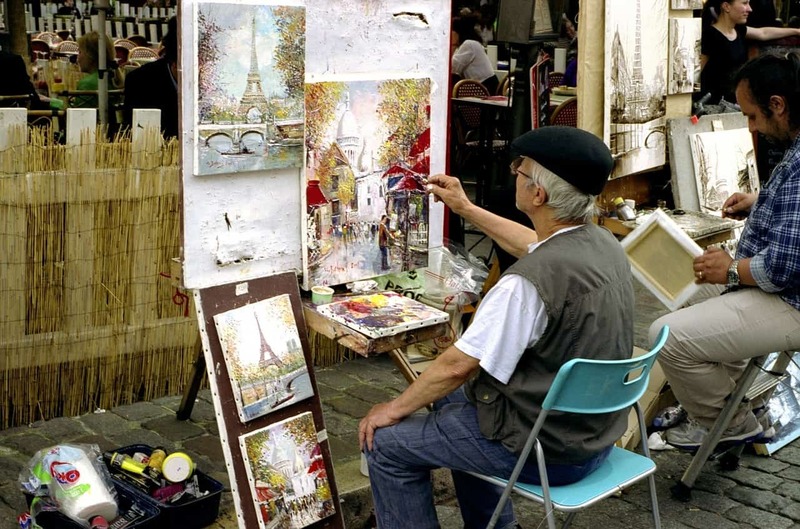 Painters at Place du Tertre – on of the classic and top things to see in Paris. Disclosure: this page contains affiliate links. This means – at no additional cost for you – I will earn a small commission if you click through and make a purchase. I am independent and the opinions expressed here are -if not stated otherwise- my own. Love it, Lena! I’ll definitely try to make those 3 days work! Thanks! salutfromparis is a participant in the Amazon Services LLC Associates Program, an affiliate advertising program designed to provide a means for sites to earn advertising fees by advertising and linking to amazon.com. Salut from Paris © 2018. All Rights Reserved.